With over 30 million treatments worldwide and counting, the Restylane line of hyaluronic acid fillers provides natural-looking results by smoothing away facial wrinkles and folds (Restylane, Restylane Lyft, Restylane Refyne, Restylane Defyne), providing subtle lip enhancement (Restylane, Restylane Silk) and smoothing the lines around the mouth (Restylane Silk), and adding lift and volume to the cheeks (Restylane Lyft). Restylane is an injectable gel which should be administered by a trained, medically qualified practitioner. Restylane enhances your natural looks by restoring your skin’s volume, creating softness and revitalizing your appearance. Youthful skin is rich in hyaluronic acid. As we age, the distribution and function of hyaluronic acid in our skin gradually change, leading to the characteristic signs of aging. Restylane gels work by enhancing your skin’s own stocks of hyaluronic acid, directly adding volume to either soften the signs of aging or enhance your features. The procedure is quick. It usually takes less than 30 minutes. The benefits can be seen immediately. Millions of people have used Restylane with confidence. It is the world’s most widely used product based on hyaluronic acid for esthetic enhancement. Restylane safety and efficacy is proven beyond a doubt, with robust clinical data spanning a decade. Adverse reactions to Restylane are rare. Restylane gives you flexibility and control over your looks. Because your face changes shape as you age, you want to avoid a permanent look you might regret in years to come. Restylane is quick and easy. Restylane is produced by Q-Med AB in Sweden under strict laboratory conditions to obtain a high degree of product purity. Q-Med is a rapidly growing biotechnology/medical device company. Q-Med develops, produces, markets and sells implants for esthetic and medical use. All products are based on the company’s patented NASHA™ technology. If you injected hyaluronic acid in its natural form into the body, it would break down in just a few days, and any treatment benefit would be very short-lived. The unique stabilization process patented by Q-Med and used in the manufacture of Restylane results in a hyaluronic acid gel that closely resembles the body’s own hyaluronic acid. 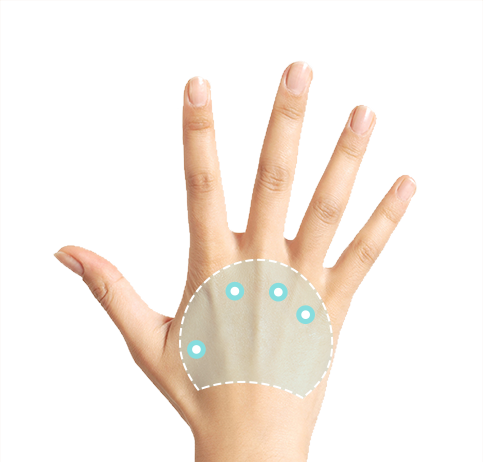 This provides long-lasting treatment benefits and minimizes the risk of a skin reaction. 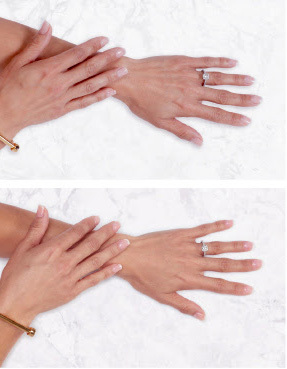 Restylane® Lyft is specifically designed to add fullness to the backs of the hands, which can result in a more youthful-looking appearance.